...the most seductive designs in the new folding box cart collection. 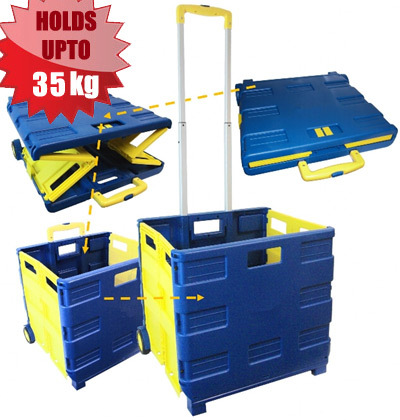 Extra large lightweight trolley, 42 x 40.5 x 38cm. 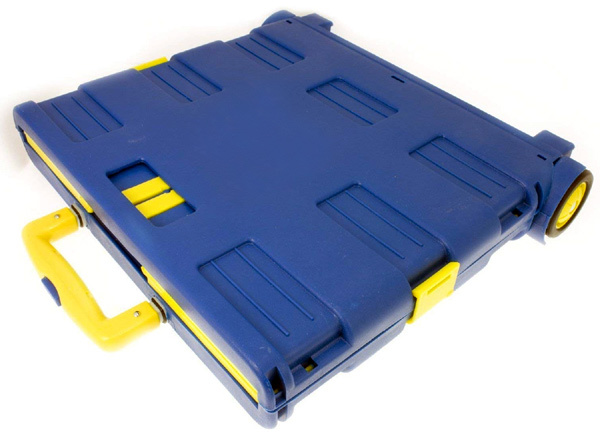 Folds down completely for storage or carrying, reopens in seconds. Easily stowed in the boot of a car. Smooth rolling rubber tyres and adjustable telescopic handle. Folds flat when not in use so easy to store in the home, office or car. *Please note certain products come in assorted colours for bulk quantity purchases. We will contact you after an order is placed to advise if this is the case. If you are looking to order in quantities that are well in excess of our highest discount tier please get in touch via email or telephone and we will be happy to quote you our best price. Delivery of most bulk orders is approximately 2 - 5 working days. Free delivery only applies to England, Wales and most parts of Scotland. Please see our terms for more details. Delivery time is approximately 1 - 3 working days*. Zone 1 (FREE): The FREE delivery only applies to England, Wales and most parts of Scotland (excluding Highlands and Islands as listed below for Zone 2 and Zone 3 areas). Very quick and efficient delivery. Trolley is exactly as described and very useful. Would recommend. The whole process was quick and easy.Good range of products and competitively priced. Quick service and prompt delivery but unfortunately I am disappointed with the product as a bit of it broke off the first time I used it.